During Christmas, many people choose to decorate their tree based on a certain color. Before you choose which beautiful color you want to adorn your Christmas tree, read some fact, and some interesting points regarding each color! Each color has its own meaning and its own personality. No matter if you are decorating based on what the color means, or you simply enjoy that color, we want you to see some of the points that personify each color! Aqua is a color that is truly unique. It means water in Latin. But aqua is the color directly between green and blue. Aqua is unique for its quality that resembles water. It doesn’t resemble clear drinking water, or water from the river, but water that is truly remarkable. You will only find aqua colored water in the most pristine of beaches, or the most secluded of watering holes. This type of water is remarkable to see. Aqua is such a rare color, that it doesn’t have a true meaning. The only meaning that the color needs is water: beautiful, extraordinary, faultless water. 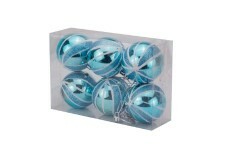 The lovely color of aqua can only enhance Christmas décor at your home, office, or on your Christmas tree. 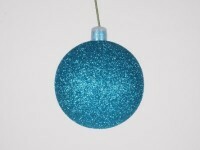 Aqua ornaments can bring out the best in Christmas colors, and fill your home with its magnificent view. With Winterland Inc. you not only can show off the beautiful color of aqua, but you can also rest assured that our ornaments will meet your high standards for quality, and beauty. We pride ourselves in making the best ornaments possible. The aqua ornament collection is one of extraordinary beauty, and we strive to ensure that the beauty of the color is matched by the quality of the product!